← When a Spider Loses a Leg, Does Its Whole Hydraulic System Lose Pressure? @BugQuestions once the injury “seals”, pressure goes back to normal? Hemolymph somehow regenerates? Thanks for answering. Spiders, like insects, have an open circulatory system. A blood, called hemolymph bathes the organs and is sloshed around by a tube-like heart. Well, actually it’s more complicated than that. Spiders have a semi-open circulatory system. This means that their veins are open-ended, and serve as a primitive way to directionalize blood flow. Regardless, the end result is the same. A cut to a spider is different than a cut in a human. In a human, only a few capillaries are breached by a minor cut. In a spider, it’s the body cavity itself and thus the whole circulatory system at once. So a first step in regenerating blood is stopping it’s loss. How do Spiders Stop Bleeding? The act of stopping blood loss after an injury is called hemostasis, which is a latin portmanteau for blood and pause. This process requires multiple proteins and blood cells acting together in a highly coordinated manner. There’s a wonderful lecture about this process, and how it evolved, by Dr. Ken Miller from Brown University. Unfortunately it’s quite old now, and the only videos I can find are extremely low resolution. However it’s still a very good explanation to this process, and I’d recommend watching it before continuing. Just below the video is a diagram of the cascade he’s talking about. At it’s very core, blood clotting is merely a congealing of blood around a cut. 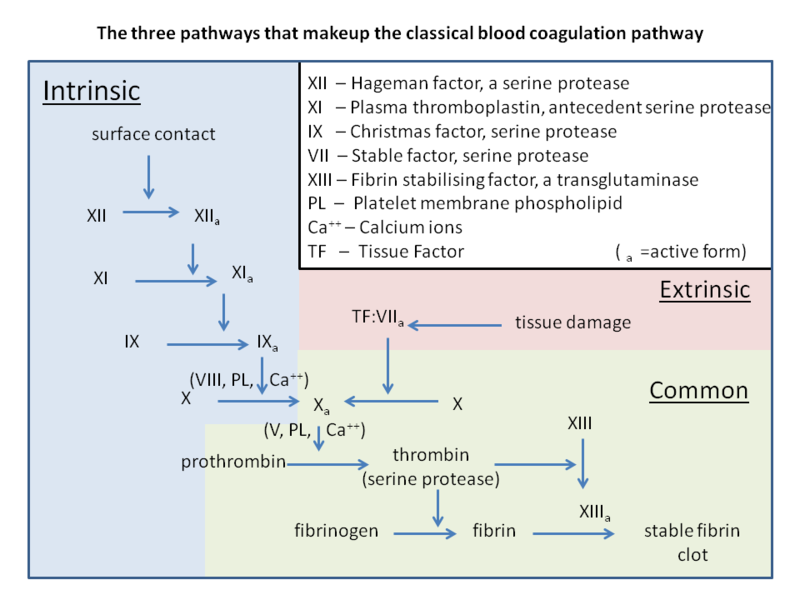 The main invertebrate clotting factor is an enzyme called transglutaminase, and it’s very similar to Factor XIII in the human clotting cascade. Invertebrate transglutaminase works on a very different set of proteins than vertebrate transglutaminase, but it does the same job of linking proteins together to form a clot. The enzyme seems to be supplied by blood cells which migrate to the wound. After the clot forms, it hardens into a scab. This is accomplished with the aid of an enzyme called phenoloxidase, which is also involved in immunity. Human and invertebrate phenoloxidases are very different from one another, with invertebrate phenoloxidases being very similar to storage proteins. They both do similar stuff, but they evolved independently from one another. This capsule, formed during an immune reaction to a glass rod, is very similar to a blood clot. The main difference is that it’s formed inside the body, and hasn’t scabbed over yet. The clot is eventually pushed out of the wound by the healing process, which is catalyzed by the insect’s blood cells. Humans have all sorts of blood cells, and platelets are the most involved with wound healing. Invertebrates lack this system. Instead, they have three cells which cooperate in extremely complicated ways. Two cell types, plasmatocytes and granulocytes, cooperate and bind together to help form the clot and are cross-linked by transglutaminase. They also lay down the scaffolding that the new skin surface will form over. This is something that’s regulated at many different levels. For example, there’s one molecule which tells certain blood cells to become sticky and another which tells them which direction to travel. There are parts of these molecules that are essential for them to function, and parts which can be disposed of. Like the human clotting system, they’re activated by protease cascades. Most of the components are still uncharacterized, and the systems can differ widely between different groups of arthropods. Many components seem to be very different than what’s seen in the human system described by Dr. Miller above. 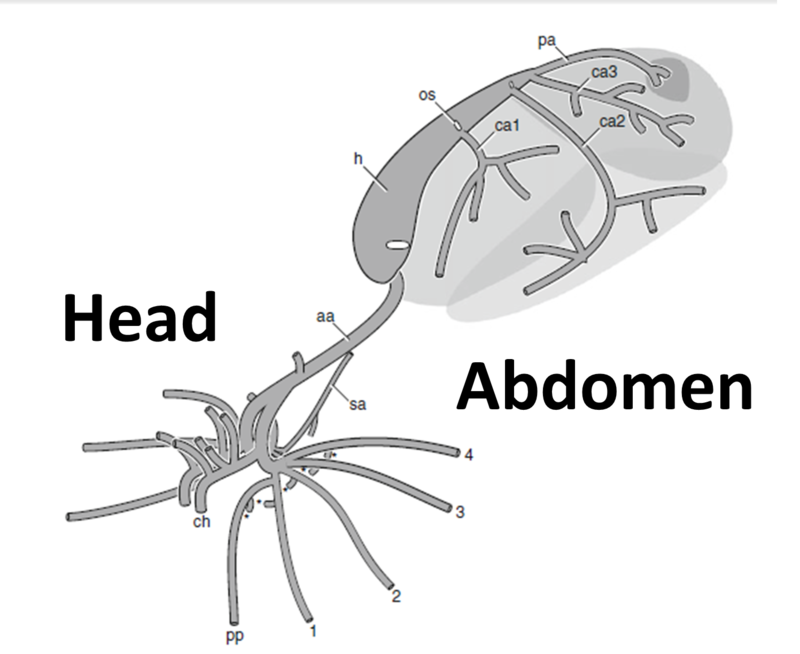 The invertebrate clotting system is on par with the vertebrate system in terms of complexity, despite the fact the factors involved are very different. It’s extremely complicated, but there are a lot of different ways to close a wound. So…how does the spider regenerate blood? Ironically, regenerating blood is less complicated than clotting in some ways. Invertebrate blood is a complicated mixture of proteins, nutrients, and cells. It would be very easy to dedicate a blog to all the functions invertebrate blood serves, and even talking about the healing process in-depth is difficult for a 1,000 word blog post. However, the components can be lumped into four extremely broad categories. Water. Blood is a soup composed of cells, proteins, sugars, fats, various small molecules, but it’s mostly water. 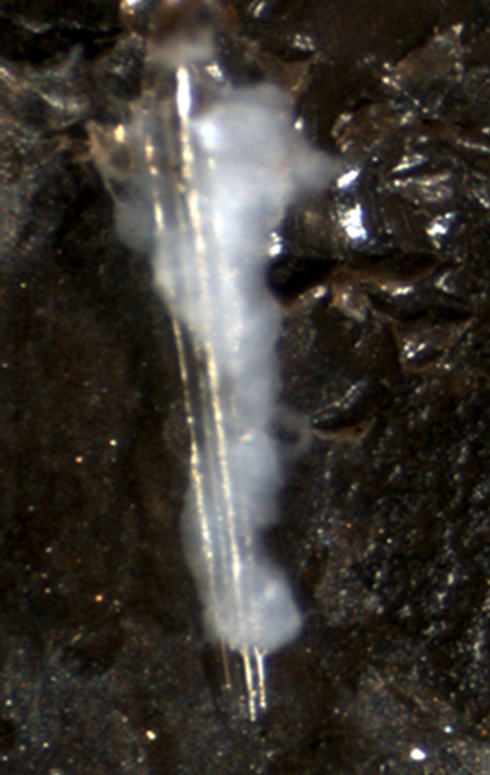 This water comes from whatever the spider happens to be drinking, and it can also come from prey. Proteins. Proteins are the workhorses of the animal. They’re involved in signalling, transport, immune surveillance, and anything else you can imagine. The proteins which float free in the hemolymph are produced by a organ called the fat body which is kind of like the human equivalent of the liver and fat tissue. Signaling proteins are produced by endocrine glands, another system which is very different than humans. Small molecules. This could include hormones or nutrients. Which part of the spider replenishes it depends on the exact identity of the molecules. Hormones are going to be produced by endocrine glands, same as the signaling proteins (which are a type of hormone). Nutrients, like proteins, sugars and fats, can be released from the fat body. Feeding will replenish the fat body’s stores. Blood cells. In humans, blood cells are replaced by the spleen and the bone marrow…organs which spiders completely lack. Instead, they have an organ called the haematopoetic organ which is located on one of the main vessels. The haematopoetic organ releases pro-hemocytes, which then differentiate into blood cells based on the needs of the spider. Invertebrates can heal themselves, and the process has parallels with what we do when we hurt ourselves. However, the overall process is very different. Humans have dozens of blood cells with many different functions, while invertebrates only have about half a dozen. The way they’re formed between vertebrates and invertebrates is very different, since invertebrates lack human haematopoetic organs. The enzymes we use to form scabs are very different than one another, but they have a similar chemical reaction. Transglutaminase is a factor which is essentially the same, but even it acts on different stuff. Despite all these differences the end process is very much the same: a sticky mass of congealed blood that hardens, turns black, and is eventually pushed out of the wound. After this happens, an equally complicated process kicks in to restore the spider’s body to normal. This entry was posted in Physiology and tagged Biochemistry, Bleeding, Hemolymph, Invertebrate, Pet, Physiology, Spider. Bookmark the permalink. 2 Responses to Can Arachnids Regenerate Blood Lost After an Injury? From what I understood, open circulatory systems would just generate and distribute blood across the body of the subject, filling cavities and surrounding tissues. This makes me wonder, how does the old blood gets out or recycled? An extra one, from some pictures I’ve taken, specially this one: http://goo.gl/MQNhdB, what we can see right behind the eyes, are extensions of the arteries? Thanks a lot for these answers, you guys are amazing. In extremities like wings, there are actually pumps which help recycle blood through the spider. I’d imagine that activity itself would aid in fluid flow. In practice, the insect circulatory system is a lot more complicated than is usually presented. As for the structures right behind the eyes, I wouldn’t be certain of what they are. They could be formed by the cuticle, or muscles below the cuticle. It’s just hard to say without a dissection.